Length: 28,860 words (102 pages) approx. 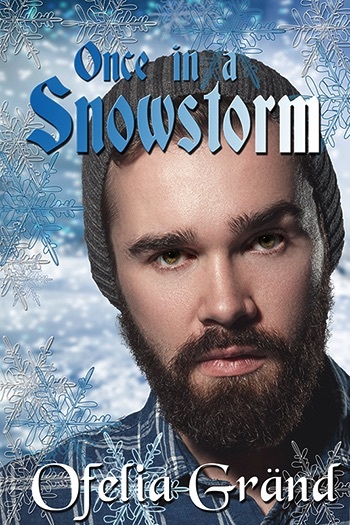 Daring a snowstorm might not be the smartest thing Aiden has ever done, but he can't stand being in his flat a moment longer. With only three days to Christmas, he doesn't want to be alone. He wants a place to belong, wants people around him who won't look down on him. He might not find all that at his mother's place, but at least it's better than being alone in the city. If he can make it there, that is. Tristan is looking forward to a quiet night in front of the TV, but instead, he has to save an idiot in designer clothes from freezing to death in his forest. Tristan tries not to notice the man's good looks, just like he has tried not to notice any man's good looks for the last seven years. He knows where relationships go and is far better off living alone, with his dog, in his cabin. Aiden is driving Tristan mad with his bratty comments and irresponsible ways, and Aiden is going crazy from Tristan's judgmental attitude. Luckily, in a few days, the weather will clear up, and the two men won't have to be together any longer. But will a few steamy nights with the grumpy lumberjack change Aiden's mind about wanting to leave? And will Tristan still want to go back to his peaceful, predictable life without fear of getting his heart broken?